An ice expedition for all ages! But especially for boys and girls age 7-12. Now, kids can build the LEGO City Arctic Mobile Exploration Base with lab, crane, ice saw, wooly mammoth, and snow bike toys to create the journey of their dreams. 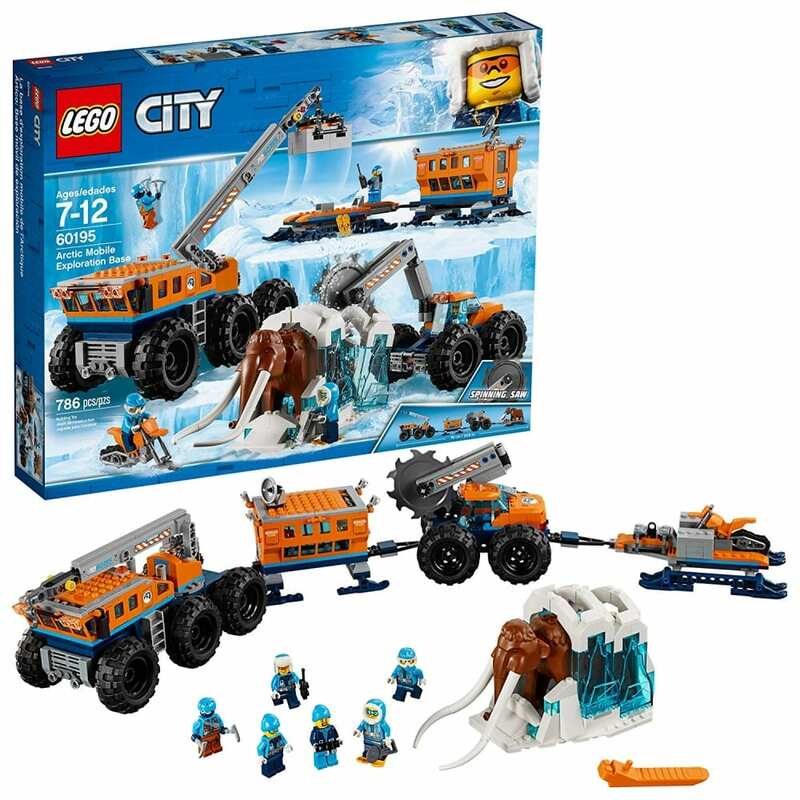 This mobile arctic base camp excavation toy includes an expedition leader, driver, 4 Arctic explorer minifigures, “frozen” prehistoric mammoth toy, crane with moving arm and adjustable ice saw with spinning blade. Inspire girls and boys alike to customize and create their own undiscovered terrains while building and rebuilding this explorer set with snowmobile vehicle and toy bikes. Mobile Lab measures over 4” (11cm) high, 5” (13cm) long and 3” (8cm) wide , Mobile Saw over 4” (11cm) high, 6” (16cm) long and 3” (10cm) wide, Snow Bike over 1” (3cm) high, 3” (8cm) long and under 1” (1cm) wide, and Wooly Mammoth over 2” (7cm) high.